Diana Morales Rosado Quintela keys, or simply Diana Chaves (Lisbon, July 11, 1981), is a model, actress and television presenter Portuguese. She is the daughter of Carlos Quintela Chaves and his wife Cristina Morales Rosado, who died in 1992. Has an older sister, Petra Morales Rosado Quintela Keys (February 2, 1978), married and mother of Rodrigo Bastos Quintela keys and a younger sister, Sara Morales Rosado Quintela Chaves (Lisbon, 1987). 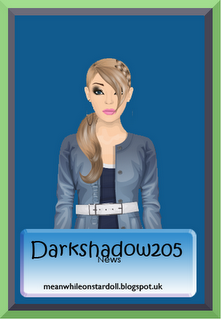 The stardoll graphic really looks like her.